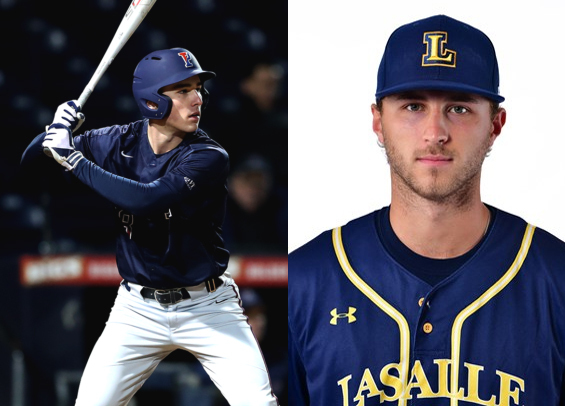 The Philadelphia Baseball Review released its Division-I Freshman of the Week and Reliever of the Week awards on Tuesday for the period ending March 17. Penn freshman first baseman Craig Larsen pieced together a slash line of .400/.520/.950 over five games with three home runs including a pair of grand slams. He finished the week with a pair of doubles, nine runs scored, and 13 RBIs. La Salle senior right-hander Connor Hinchliffe earned Reliever of the Week honors, securing two more saves while tossing 3 2/3 innings without surrendering an earned run. He struck out four, walked one, and surrendered just two hits. His ERA on the year remains unblemished.